When you want to stay on the water and still have fun in 5-6 knots, you have to be light. To save weight we started with a new bladder material that is 25% lighter, reduced the leading edge diameter and introduced a smaller strut size. Efficiency is king, so we completely updated the design geometry. To make it more efficient and faster in light wind we’ve increased the aspect ratio much like on a glider or wind turbine wing. 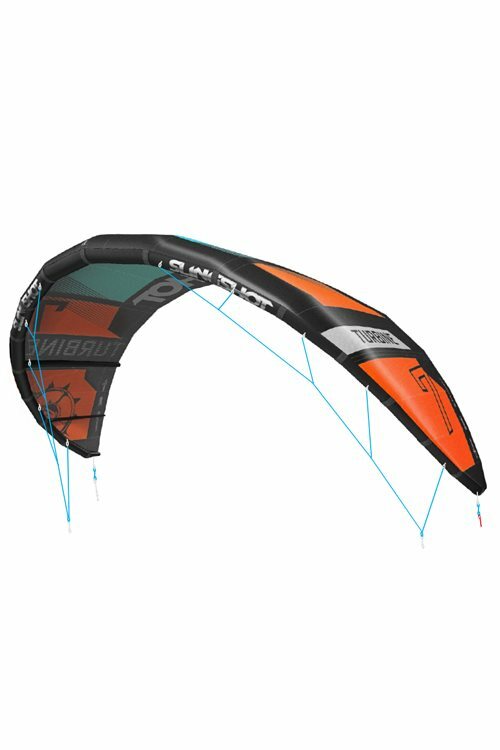 This improves lift thru kite speed and allows it to fly further forward in the window. 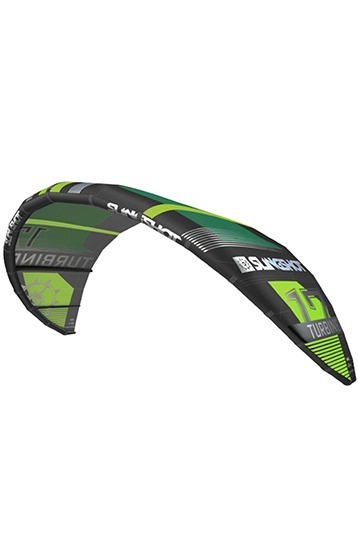 The bottom line is this kite increases your riding time and gets you off the beach when there’s not a whitecap in sight. As a low wind kite the Turbine has relatively high win range, stable and easy to relaunch.